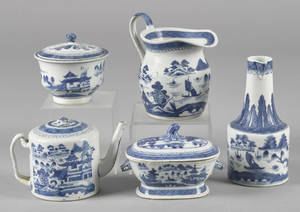 Large group of Chinese export blue and white porcelain. 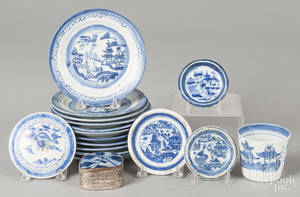 Archived auctions similar to Large group of Chinese export blue and white porcelain. 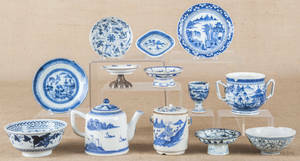 Large group of Chinese export blue and white cups and saucers, 19th c.
Group of Chinese export blue and white porcelain. 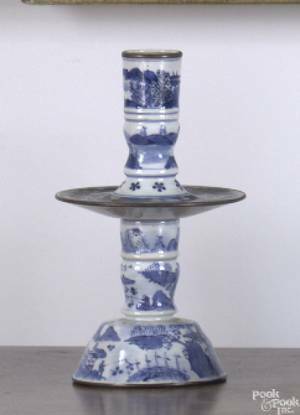 Pair of Chinese export blue and white porcelain 2-piece candlesticks, early 19th c.
Group of Chinese export blue and white table articles, 19th c.
Five pieces of Chinese export blue and white porcelain, 19th c.